These photos were all taken at the Sylvan Heights Bird Park (it's new name) in Scotland Neck, NC, just over the Virginia border and about 20 minutes off I95 ( http://www.shwpark.com). 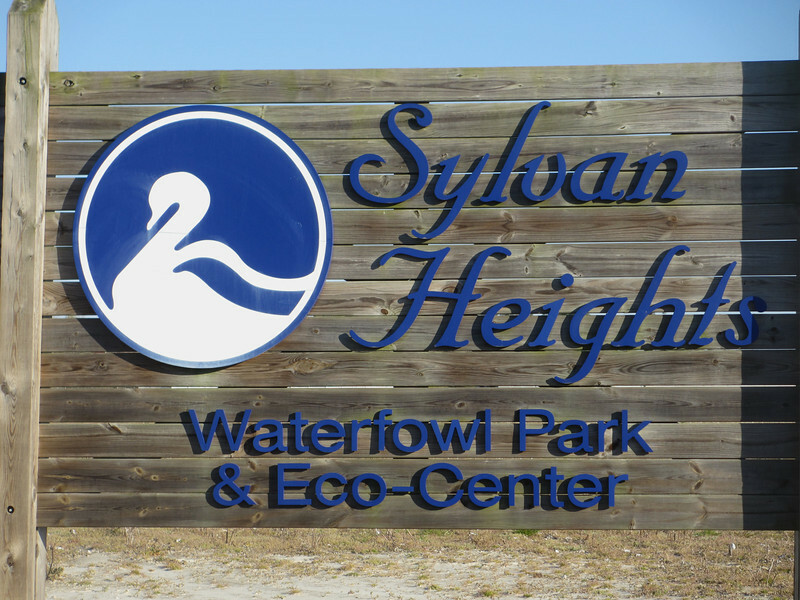 Sylvan Heights, which claims to house the world's largest collection of waterfowl, is a leading conservation and education center. The welcome sign just outside the park.